Need To Sell Your House In Wolcott CT? No Agent Fees, No Repairs. We Won’t Waste Your Time With Low Offers! We Buy Houses In Wolcott Connecticut no matter the condition, no matter the location. Our offers are based on market value of your home, and the projected value after we repair/update your house. This allows us to often offer more than the as is value of your home. This is why we have so many happy customers. If you need to sell your house in Wolcott, get in touch with us. You have nothing to lose. Give us a shot, we promise not to waste your time! The entire process is free to you and there is absolutely no obligation to accept. I happily recommend Jerryll to any prospective homeowners and property investment families looking to get a straight deal, and gladly extend my hand to speak more on this if you’re so inclined. Our House Buying Procedure Is Straightforward. Just fill in any of the forms on our website and we will jump to action preparing the offer. Foreclosure, expensive repairs, bad tenants, or back taxes? No matter why you need to sell your house, our team will work with you to buy for a fair price in the timeframe that works for you. 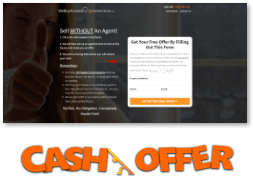 Get an offer before calling a Wolcott real estate agent! 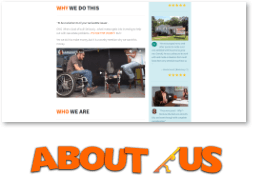 You might be surprised at what we can do for you! We’ll take the time to research your house so we can make you the fairest offer possible. We have been in this business for a long time and know the ins and outs of buying houses in Wolcott. Let us use our market knowledge and passion for real estate to generate a fair offer and buy your house fast! We Are The Buyer! We are not assigning your house to someone else or selling on your behalf. We’re property investors who love to fix up houses throughout Connecticut. Our offers are always fair, based on current market conditions, and the projected value of your house completely fixed up. By paying fair cash prices, we are able to help local homeowners when they need it most. Going through a divorce? We can provide a fast and fair sale. Facing foreclosure? We can buy fast to stop the bank. Is the house run-down or damaged? Fixer-upper properties are our specialty. Do you need to move quickly? You’ll be able to have your cash in only a matter of days. Is your house too big or too small? We can close quickly so you can find a better fit. Received an inherited property? We can help you sell without spending a dime. Dealing with tax problems? We can help with most situations! 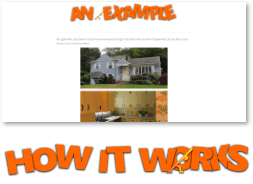 No matter why you need to sell your house in Wolcott, Connecticut, We Buy Houses In Connecticut will work with you to sell your house without any frustration or hassle. Listing Your Wolcott Property Is Not The Only Way To Sell It! Many people believe that it is necessary to hire an agent in order to sell your Wolcott house, however, this simply isn’t the case. The MLS isn’t the right place for every property. If a house needs work or needs to be sold quickly, a direct sale is oftentimes the better way to go. By selling your house without an agent, you’ll receive multiple benefits. You won’t have to clean, repair, stage or market the property. We do not charge commissions or fees of any sort. There are no costs before or after the sale, this includes closing costs. You won’t have to prepare or leave the house for property showings. We handle everything to ensure you get a fair price and experience a simple transaction when selling your Wolcott house. A traditional listing with a local agent will offer no guarantees as far as the price or day it will sell. You may be waiting months for offers much less than you were expecting. Many times, people will have to lower their asking price when this happens, causing even more money to be lost. How much is the house costing you? Owning a house comes with many expenses such as homeowners insurance, property taxes, utility bills, regular maintenance, and possibly a mortgage. These items can add up to thousands of dollars if your house doesn’t sell right away. With a fast and fair sale to We Buy Houses In Connecticut, you will be able to keep more cash in your pocket, know your sale date, and have the ability to plan ahead for the future. Getting an offer is easy. Fill out this short form to get started! 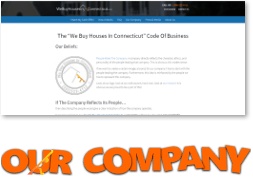 We Buy Houses In Connecticut is currently buying houses in Wolcott and many other parts of Connecticut. If you are dealing with a run-down house, an underperforming house, or even tax problems, we are here to help! Have you said, “I need to sell my house fast?” Is so, We Buy Houses In Connecticut has the perfect solution for you! Get in touch with us today for your risk-free offer!